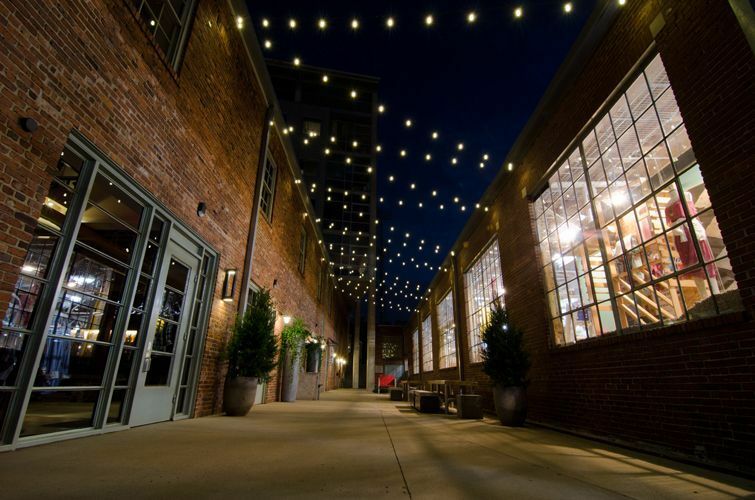 Dinner under the stars with a little help from Outdoor Lighting Perspectives of Nashville! 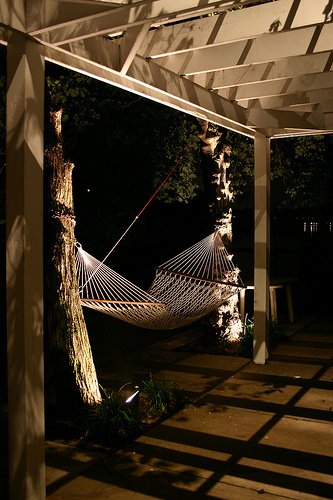 Outdoor living is better with outdoor lighting! 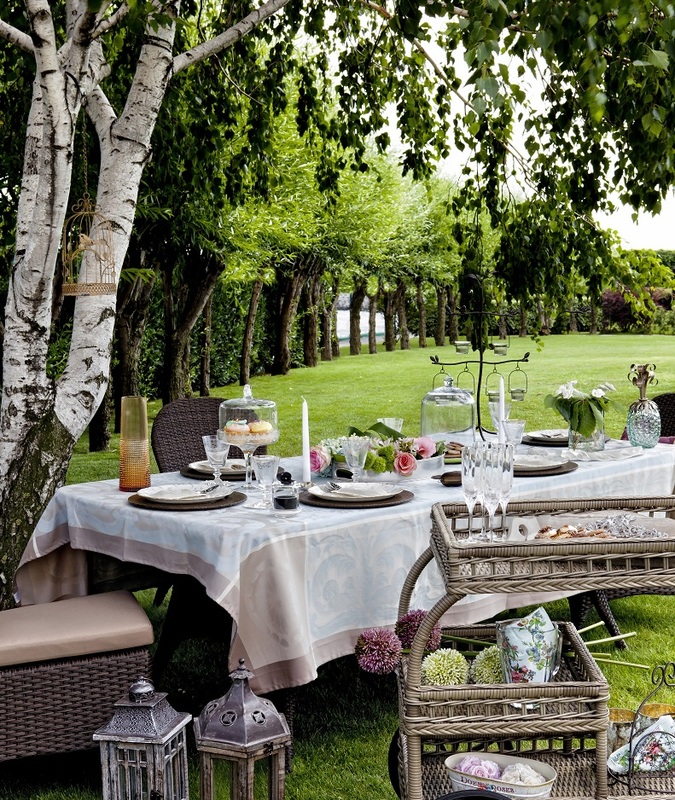 What better way to surprise your family than with an outdoor autumn dinner under the stars? Invite family and a few close friends for dinner and a memorable autumn evening, or, host a romantic moonlit dinner with your significant other and enjoy a favorite meal (even if you order it in!) on your patio or deck abound with great conversation. Of course, doing this all in the dark or with only a few spotlights just isn’t going to cut it, but Outdoor Lighting Perspectives of Nashville can be your wingman and show you exactly how to get it done so that you can stage you backyard with the perfect dining alcove bathed in stunning light. 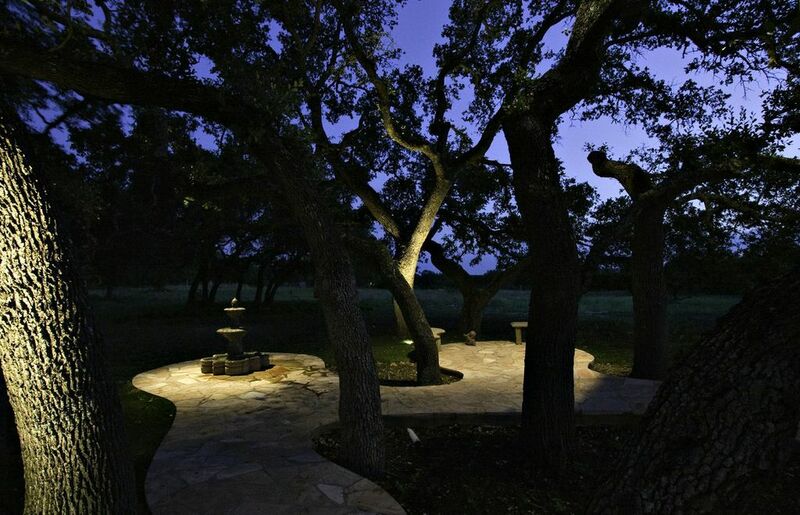 We will come in and illuminate the shadows in the darkness so you can see all around the perimeter of your backyard and be able to enjoy all the foliage and hardscapes. We can up light into the canopy of trees for a dreamy effect and we can cast light downward from the eves so that your home looks washed in moonlight. We can spotlight particular garden beds so the shrubbery appears to glow in the evening, and we can show off the stone on a retaining or rock wall and make it shimmer. For an evening dinner, we can add deck or patio lighting so you have plenty of visibility to be able to clearly see what’s on your dinner plate and get around in the dark while still being romantic and not overly harsh. We can add specific task lighting at your barbecue grill or outdoor kitchen so you can prep and cook a meal without having to use a pesky flashlight to see what you are doing. You can safely flip your steak knowing full well that it’s done without guessing. It adds a heap of convenience if you fancy yourself an outdoor grilling chef! 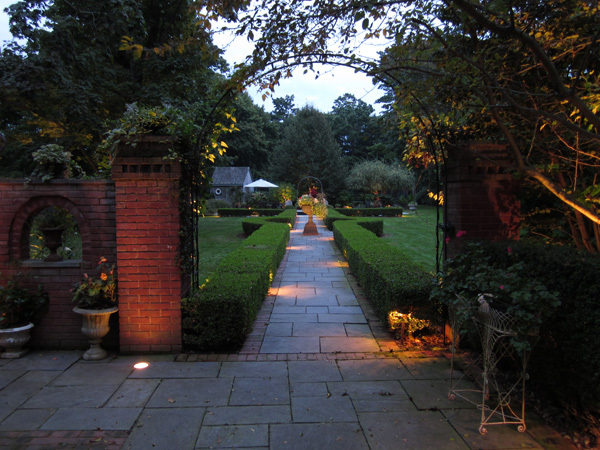 Indulge in the season — it’s easy with outdoor lighting! 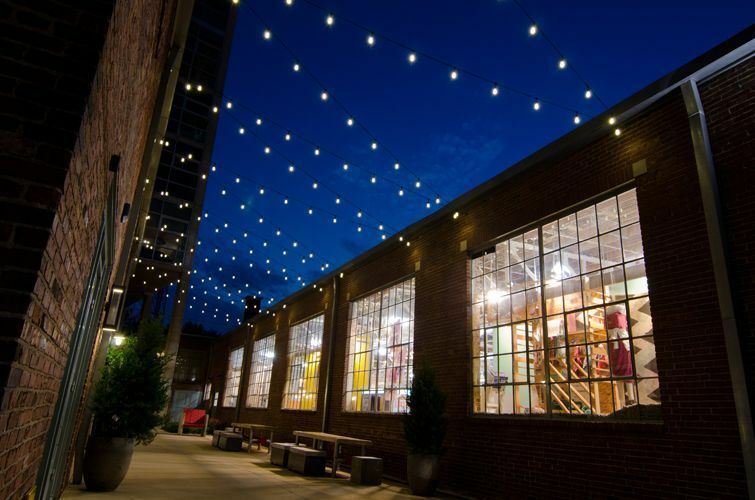 We are lucky that Tennessee temperatures in autumn afford us the opportunity to enjoy outdoor dining well into the year, and what better way to enjoy the fall evenings than highlighted by artistically designed outdoor lighting set up by a pro. The changing leaves flicker like fire when illuminated in the twilight; and when they drop, their branching takes on a haunting appearance that will leave you breathless. If you only think that outdoor lighting is for the summer time, you are missing out on a grand visual opportunity to enjoy the majesty of the changing seasons. Contact Outdoor Lighting Perspectives of Nashville before you plan your dinner under the stars so we can set the mood for the perfect evening with the perfect lightscape added to your outdoor living area. Maybe even take over and woo your honey with candles, flowers and a divine meal. We love this easy and tasty pork recipe for Grilled Brown Sugar Pork Chops that is delicious and very simple to whip up without too much fuss. In a small saucepan, combine brown sugar, apple juice, oil, soy sauce, ginger, salt , and pepper. Bring to boil. Combine water and cornstarch in small bowl, and whisk into brown sugar mixture. Stir until thick. Brush grate lightly with oil before placing pork chops on the grill. Cook over hot coals for 10 to 12 minutes, turning once. Brush with sauce just before removing chops from grill. Serve with remaining sauce. 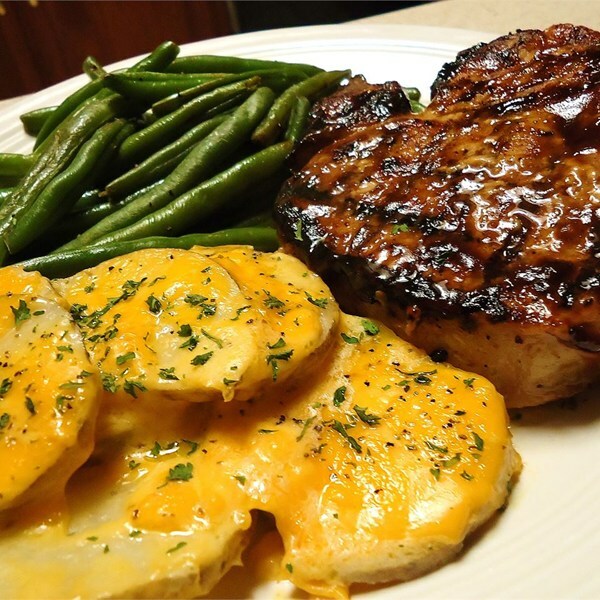 Grilled brown sugar pork chops. 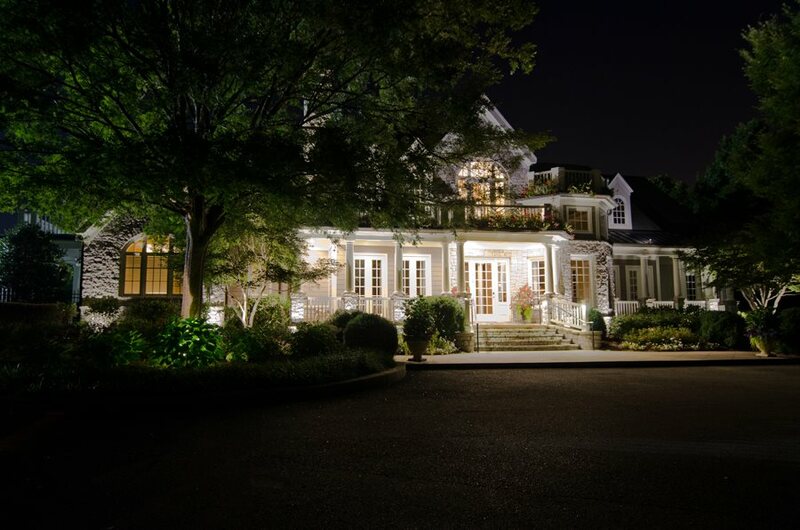 Contact Outdoor Lighting Perspectives of Nashville so we can help you light up the night. 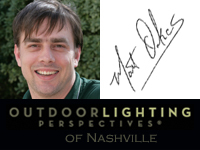 You can call us at (615) 373 – 0638, or by emailing us at: olpnashville@outdoorlights.com. Many of our clients comes to us with the primary objective of lighting the front facade of their house. We want to point out that many aspects of your Nashville property can benefit from outdoor lighting, especially your backyard. After all most outdoor living occurs in the backyard! Don’t miss out on the opportunity to create a beautiful nightscape that provides breadth and texture all around your property and gives you a truly three dimension look against the evening sky — including the back of your home. Paint a picture with light! Imagine looking out the windows of your kitchen or living room and seeing a picturesque yard where every innuendo of your back landscape is visible, and the full expanse of your property! You can appreciate your favorite seating area even when not in use, a water feature, garden beds and even your pool well after the sun has retired. If you have a big picture window, we can give you an incredible vantage point from inside your home that will look like a postcard come to life night after night. Even if the weather is less favorable, you can still enjoy your outdoor spaces from inside your home. Good illumination will pull you toward the outside and make your outdoor spaces glow with a wash of what will look like romantic moonlight. Your dark patio or deck takes on a romantic appeal with expertly targeted lighting in locations that gives your home an expansive feel. We are not talking about a few spotlights or eave lights, but rather an intricate ambient lighting display that gives you visibility to easily walk around the property and also bathes it in elegant light. 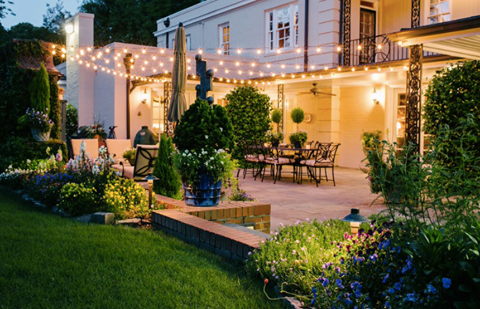 Since October is National Outdoor Lighting Month, now is the perfect time to let Outdoor lighting Perspectives of Nashville help you enliven your home and property when the sun goes down. Change what you see from the indoors every evening and magically transform your backyard so that your eye can roam around from area to area when the sun goes down. Your whole outdoor living environment will be filled with visual and dimensional mood thanks to lighting that creates incredible depth. 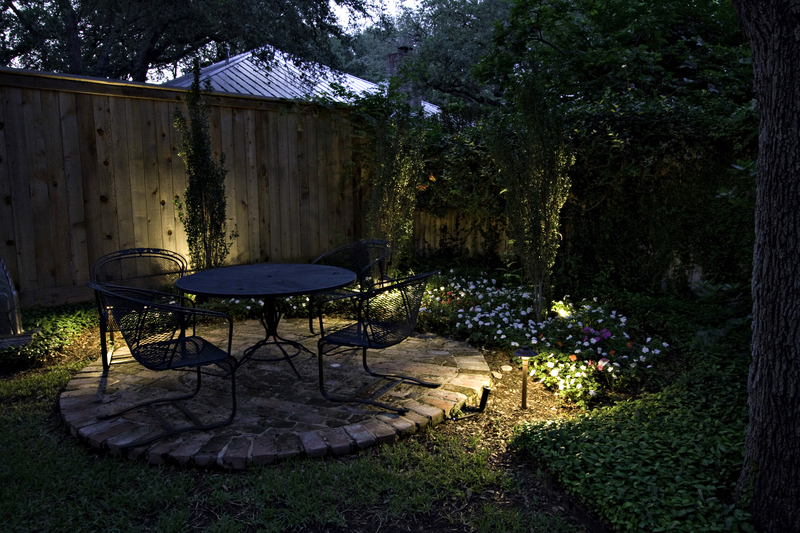 We add lighting all around your home and the reaches of your garden so that your property comes alive at night. You will be able to easily see around dark corners, we can also cast warm light into the canopy of trees and have your paths looking fairytale-worthy. 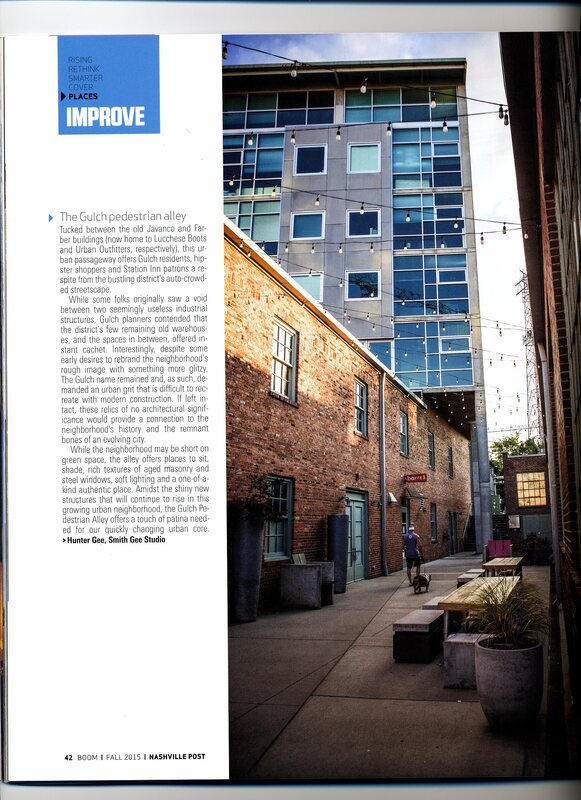 With our mild weather even in the cooler months in Nashville, you will be able to extend your outdoor time thanks to better visibility and the ability to safely navigate your backyard even at the darkest hours. Why not enjoy your fire pit with the family on a crisp fall night? 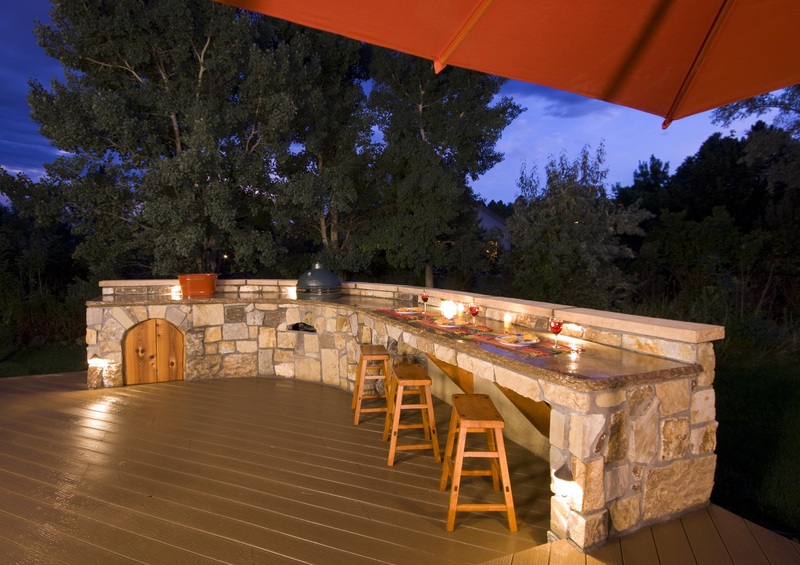 Invite some friends over and hang out on the deck while grilling a few steaks and great conversation thanks to wonderful illumination that gives you the opportunity to do so effortlessly!